The SLSP Standard Series can be supplied as shown in the SLSP Standard Series datasheet (as below) or it can be modified to meet a particular application requirement. We are always pleased to discuss any special requirements that can be accommodated. 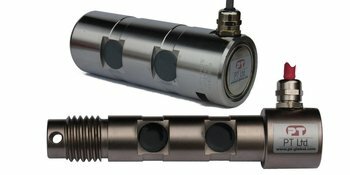 The SLSP series can be supplied as is or combined with our extensive range of instrumentation to provide a complete load monitoring system. Specifications may vary depending upon installation and loading specifics. The mating connector accommodates PT cable packs diameter 4 ~ 8mm (not supplied). For 6 wire cables connect the appropriate Sense and excitation wires to the same connector terminal. IP67, potted with DoubleSeal protection. Optional centering sleeve and anti-rotation cleat.